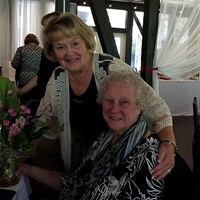 The Women's Guild provides all parishioners with spiritual, social, and service opportunities to use their time and talents to nurture one another and benefit the community. All women of the parish are members of the Women's Guild! The Guild meets monthly. Check the bulletin for upcoming events. The Shawl Ministry is part of a world-wide ministry that lends support, love and prayers to the ill, home-bound and lonely. Many prayers and blessings are knitted and crocheted into every shawl. We welcome new members anytime and are glad to provide instruction to anyone who would like to join us. In addition to shawls, we provide scarves, hats and mittens to the homeless and needy; and baptismal bibs and blankets to the new babies in our parish. We also respond to other community needs for knitted or crocheted items as they are presented to us. We have just completed our eleventh year and 1663 shawls! Only through the continuing generosity and support of SJA Women’s Guild and our wonderful group of dedicated knitters are we able to make and distribute this amazing number of shawls and other needed items. Meetings are held on the first Tuesday of the month at 9:00AM from September through May.